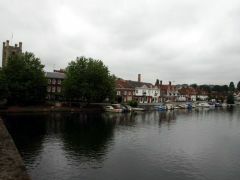 Thames Side taken from Henley Bridge showing the houses running from Saint Mary's Church towards New Street alongside the River Thames. 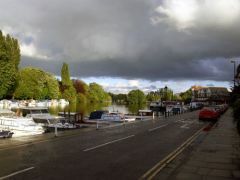 Thames Side under a very moody sky in late May. 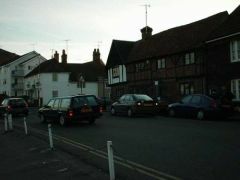 The Henley Tea Rooms situated along Thames Side can be seen in this picture as can Thames Side's junction with Friday Street. 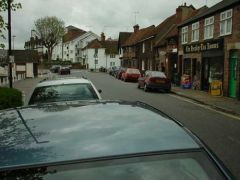 This picture shows Thames Side, the road that runs along the River Thames from Henley Bridge to Friday Street.